Climb aboard the spacious, 106' Captains Lady III to begin your whale watching voyage! Our main vessel can comfortably carry up to 149 passengers to the whale feeding grounds. 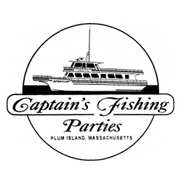 Our journey departs from downtown Newburyport, where we travel out the Merrimack River into the Gulf of Maine. This is where we can find a variety of marine life including, but not limited to, Humpback, Finback, and Minke Whales as well as Porpoise, Seals, Sharks and an array of Sea Birds. The open ocean holds many species of diverse wildlife, making every trip a unique and exciting experience.Our season runs from May through October and can take us to either the feeding grounds of Jeffreys Ledge or Stellwagen Bank National Marine Sanctuary, both of which are locations within the 36,000 square miles of the Gulf of Maine. During your trip, one of our expert naturalists will share with you their passion and knowledge of the marine environment and sighting we encounter. Viewing whales in their natural habitat is an incredible and memorable experience, and we encourage you to join us this season! Reservations are available and highly recommended! Directly Book Online or please call 1-800-848-1111 or 1-978-499-0832 (outside New England) to make your reservation today! 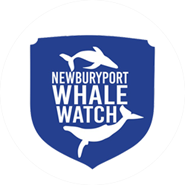 Newburyport Whale Watch is a new member of Whale SENSE! 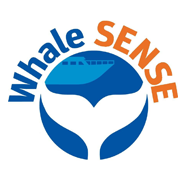 We have become part of a voluntary program committed to responsible whale watching. It’s important to keep our whales well-being in mind so that everyone can have a safe and enjoyable experience on the water.